Managers and unions of the biggest shops in Reykjavik met in 1894 to discuss an idea of giving an extra day off to their. This idea had actually come from Denmark, and it was supported in Iceland. During the first years of celebration Commerce Day fell on different days around September and August. Only in 1931 the first Monday in August was chosen to be Commerce Day. Celebration of Commerce Day is common for many countries in Europe. 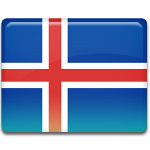 Manufacturers and stock exchange traders in different countries have to follow Icelandic tradition, because its makes sense stop commerce on the same day everywhere. Commerce Day was originally a day off for trade workers, but nowadays this holiday is a very popular summer weekend for different festivals. Celebration of this holiday scatters across Iceland and many families use this long weekend to enjoy warm days.